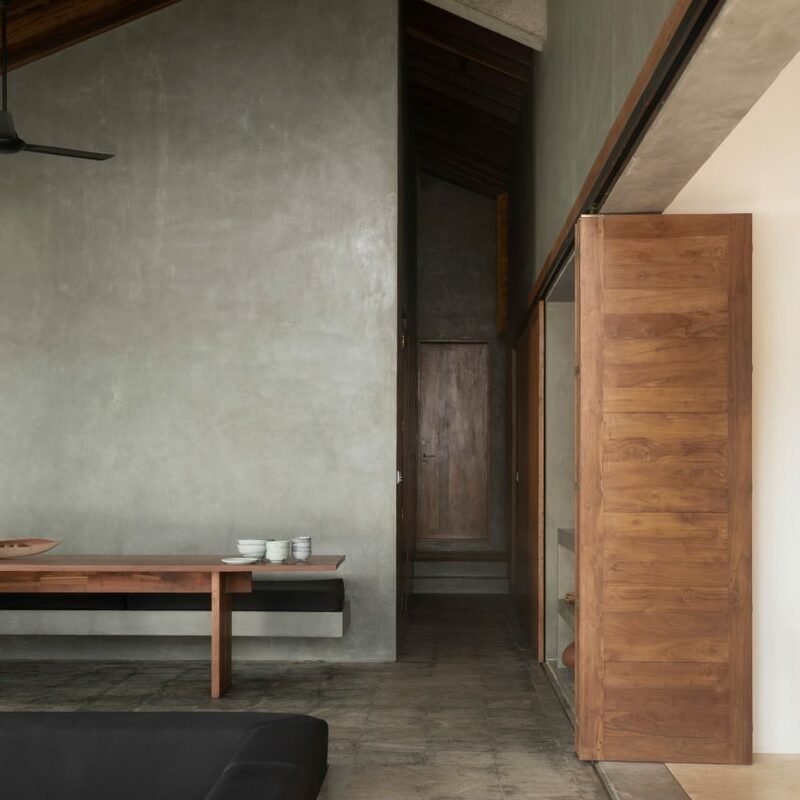 Austere concrete interiors offset the verdant surroundings of this pair of holiday homes in southwest Sri Lanka, completed by Aim Architecture in collaboration with Norm Architects. 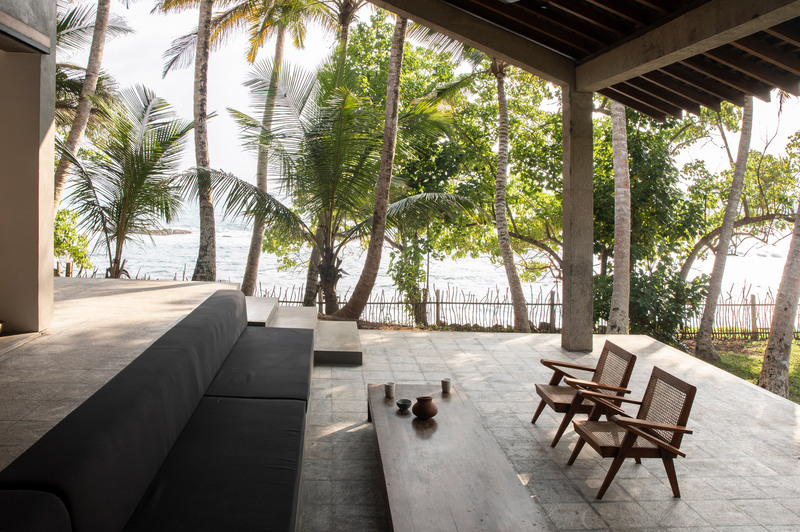 Situated in the small fishing village of Kottegoda, K House was designed by Danish practice Norm Architects and Chinese studio Aim Architecture to make the most of its tropical setting. 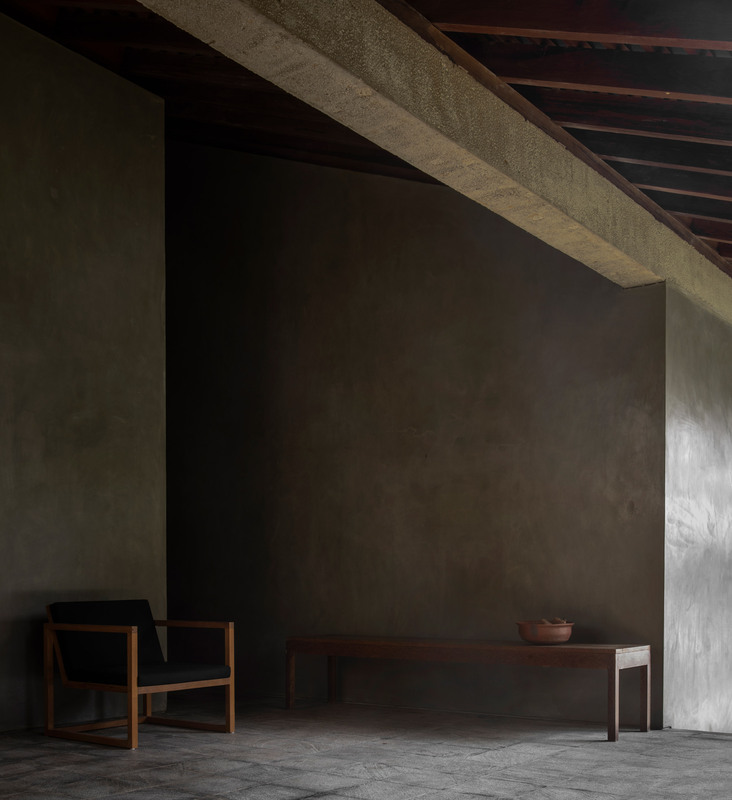 “Because of the beachfront location, the aim was to achieve a rough luxury experience that embraces nature,” explained Peter Eland, lead architect at Norm Architects. The site plays host to two peaked-roof concrete properties – East House and West House – which are loosely arranged in an L-shape to frame a central garden and pool area that slopes down towards an unspoilt sandy beach. 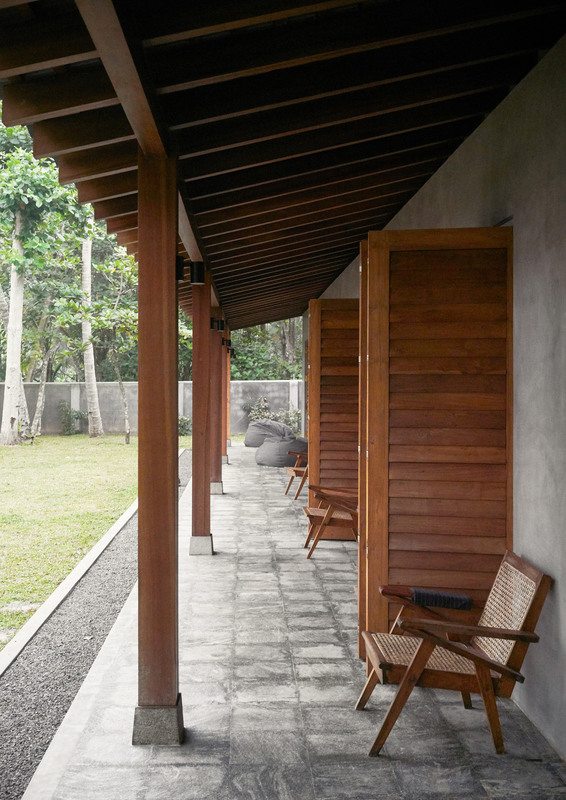 Both buildings feature a series of shuttered doors on their front elevations that can be pushed back to reveal the surrounding landscape. However, while East House perches on a hilly part of the grounds that directly overlooks the ocean, West House is nestled slightly further back behind a patch of leafy trees, providing guests with a more “sheltered feel”. Living spaces inside West House are therefore intended to evoke a more intimate, enclosed atmosphere, with polished cement walls and floors. 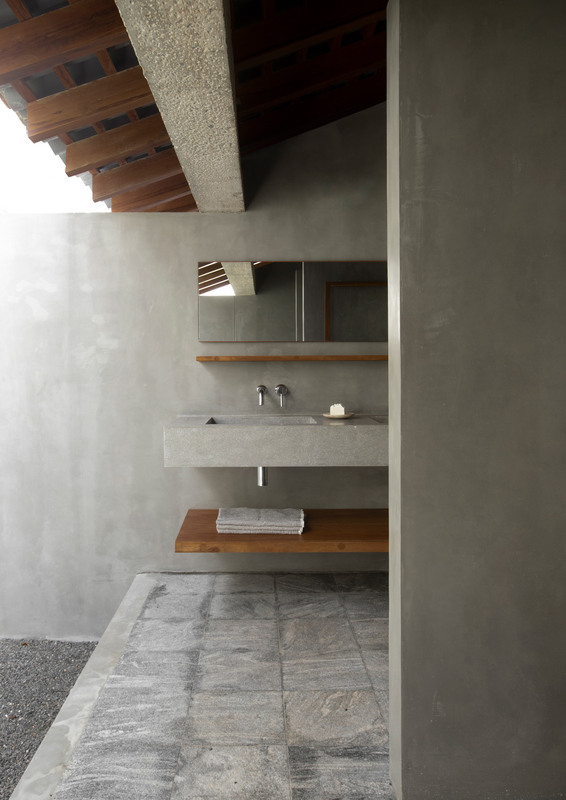 Dark grey terrazzo forms chunky sink basins in the bathrooms, two of which open onto private, stone-walled courtyards where guests can shower outdoors. Touches of warmth are offered by teakwood dining tables, chairs, and headboards that extend the full length of bedroom walls. The interiors of East House have a more open-plan design. 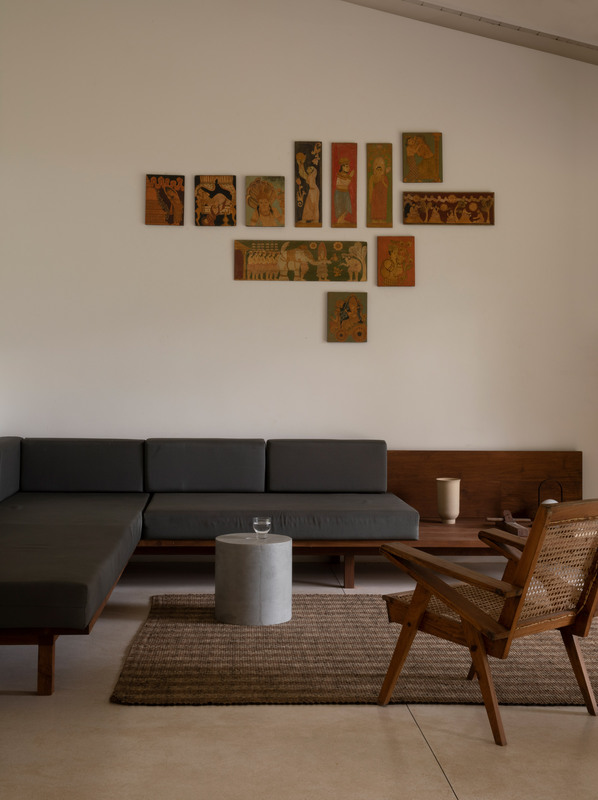 Surfaces are painted white in the joint living and dining area, which is dressed with locally sourced antique artworks. Granite tiles clad the adjacent verandah, which sits underneath a terracotta roof. “The main challenge in this location is the climate: onshore winds from the Indian Ocean contains a lot of salt from the sea that can be quite tough on materials,” Eland told Dezeen. 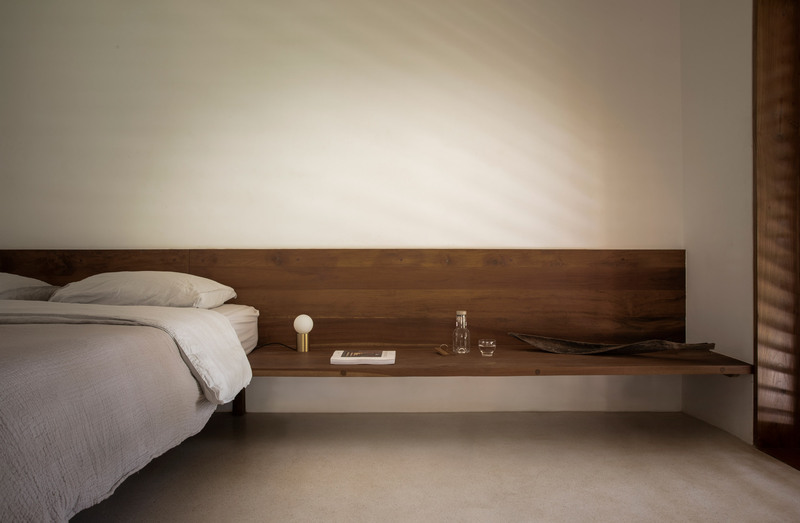 Both Norm Architects and Aim Architecture often favour pared-back aesthetics in their designs. Previous projects by Norm Architects, which is based in Copenhagen, include the hygge-influenced Gjøvik House and the earthen-toned Seaside Abode. Meanwhile the portfolio of Shanghai-based Aim Architecture includes Ruff Well Water Resort, a spa resort in the Chinese countryside. Photography is by Jonas Bjerre-Poulsen and Noah Sheldon. 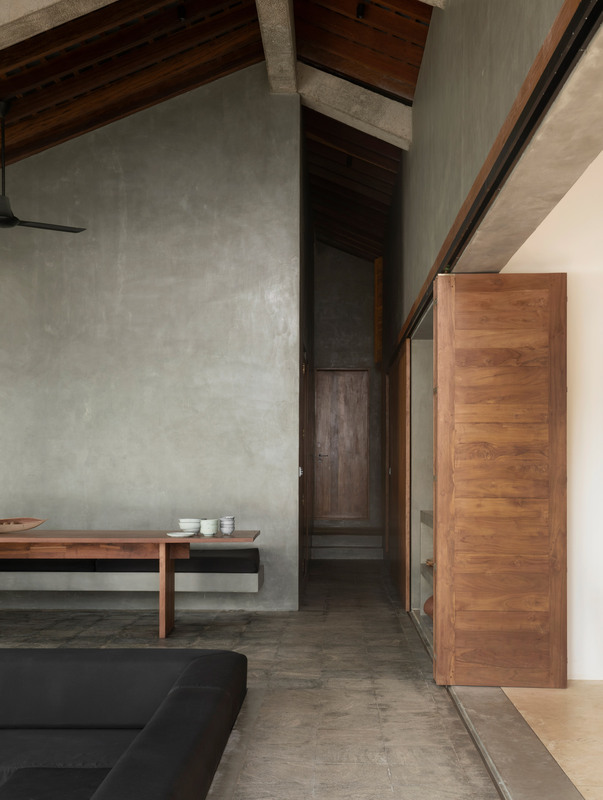 The post Concrete surfaces create “rough luxury” inside K House in Sri Lanka appeared first on Dezeen.